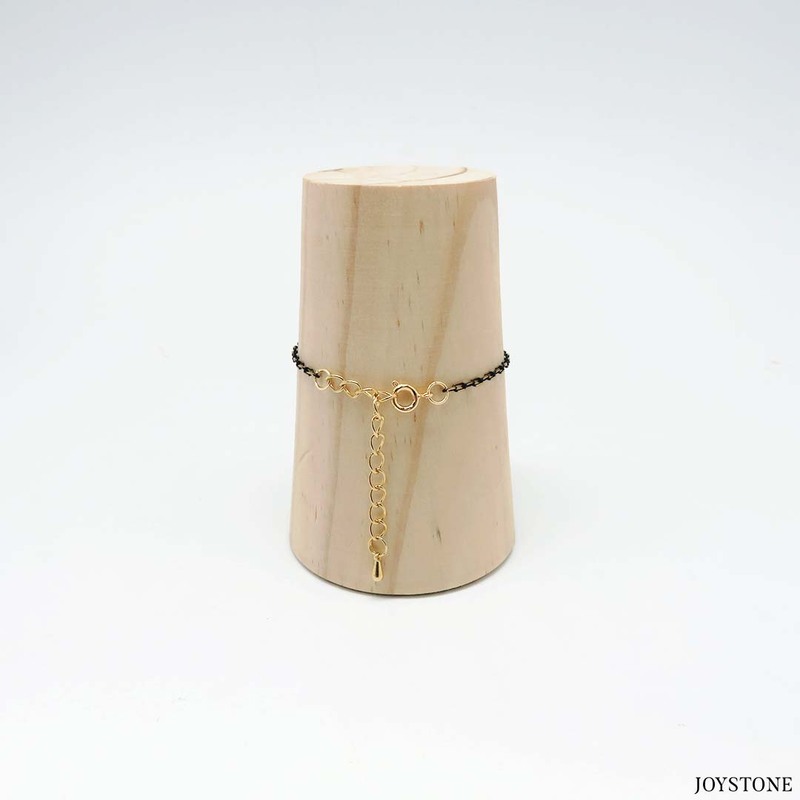 This diffuser bracelet features blue star pattern of lava stone pendant with black gold plated copper chain. It is an expression of cherish with love to nature. With the material of black gold plated copper chain, a little bit vintage, adding elegance with a low-key design and visual impact to your overall look. Comfortable to wear for day to day, for any occasion. Help you creating your eye-catching look. Simple and dainty. This piece is perfect for oils or perfume infusion. Simply add your favorite essential oil onto the diffuser lava bead of this bracelet. As you go about your day, you will enjoy a rich aroma of your favorite essential oils. Fitting for maximum wrist size 14~18cm, with attached extend chain approx. 5cm. Allows you to adjust the max wrist best suited to up to 18cm. 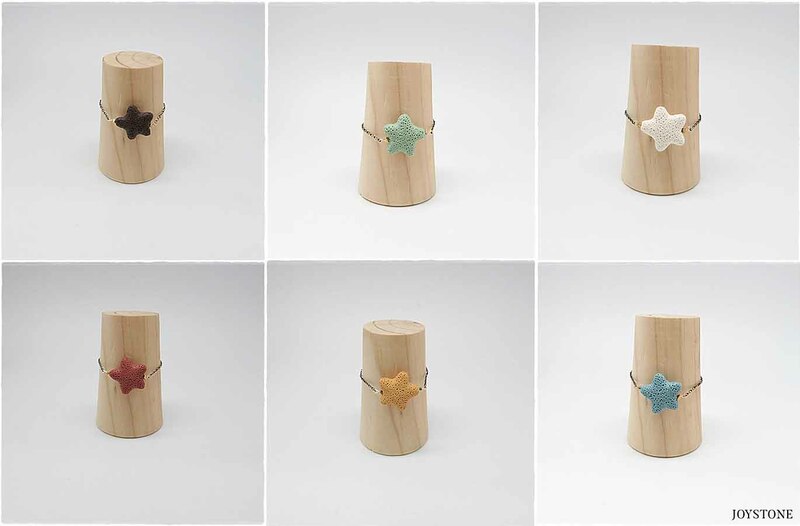 Timeless and trendy, chic bracelet. They are chosen to be comfortable to wear for day to day, for work place elegance. Also because the quality of the materials is regarded as the highest quality for the price. Dashing Accessories for both leisure and formal Occasions. A beautiful way to feel good about yourself inside and out, this exquisite women's jewellry also makes an extraordinary gift on Valentine, Graduation Day, Birthday, Anniversary, Christmas etc.Suits for Women of All Ages. 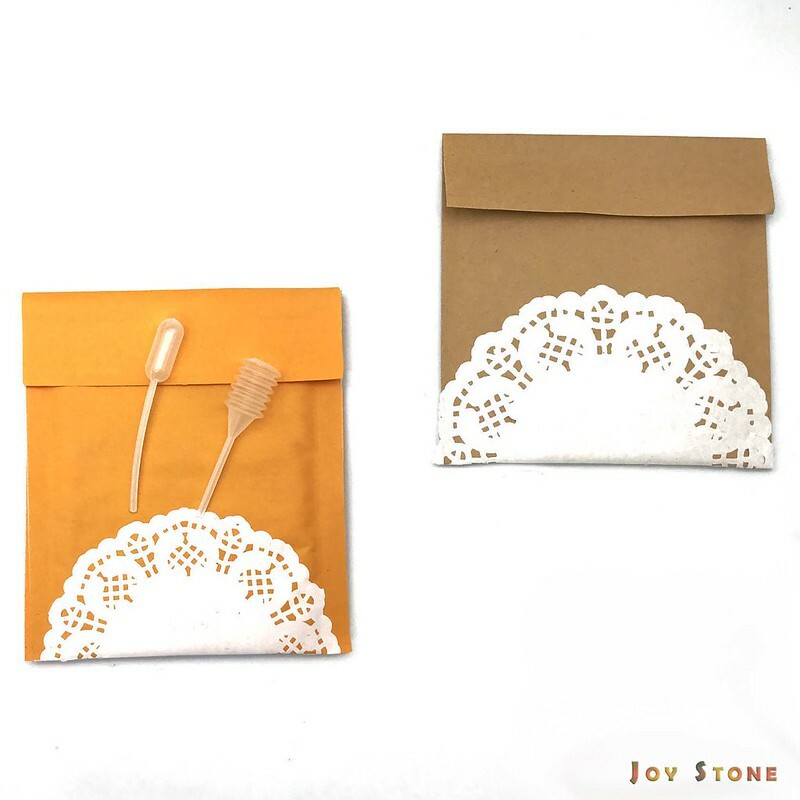 2.After not wearing it, always hang it vertically while the diffuser bead contains essential oil. 3.Do NOT wear your essential oil jewellry while in a sauna or other humid location, means that it may be worn. 4.Be careful not to pull your bracelet too hard when worn daily, to prevent it getting caught by clothing or other accessories. 1. Some of the natural stones may have natural irregular cracks. 2. ★Due to the nature of the computer display, the actual colors may look different. 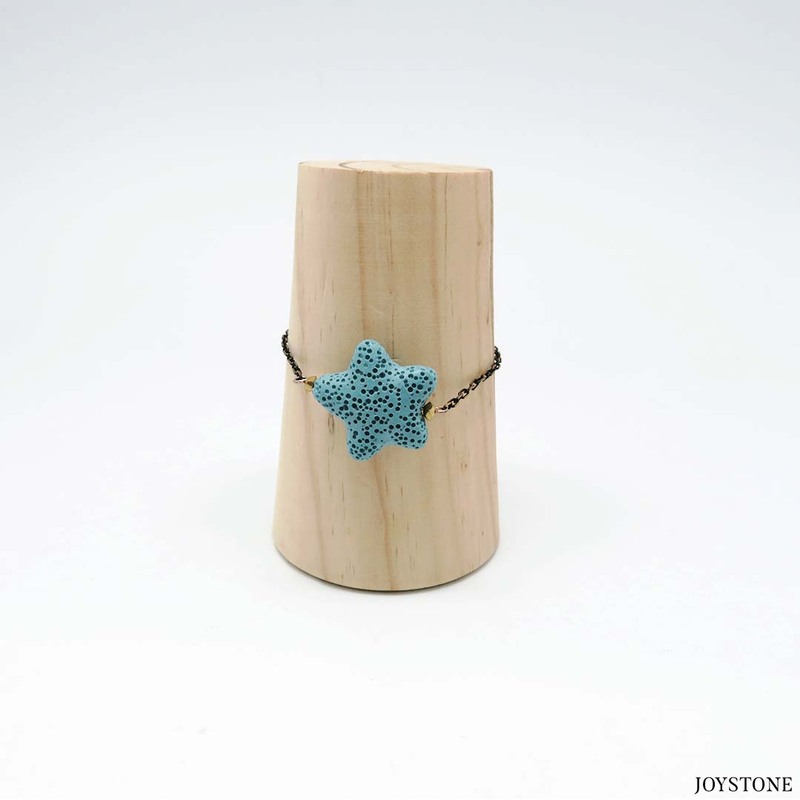 Joy's Party Lava Stone Bracelet Collection includes Star Diffuser Bracelet, Fish Diffuser Bracelet, Tropical Fish Diffuser Bracelet and Heart shaped Diffuser Bracelet. Help you show off your personal style and look your best on every occasion. 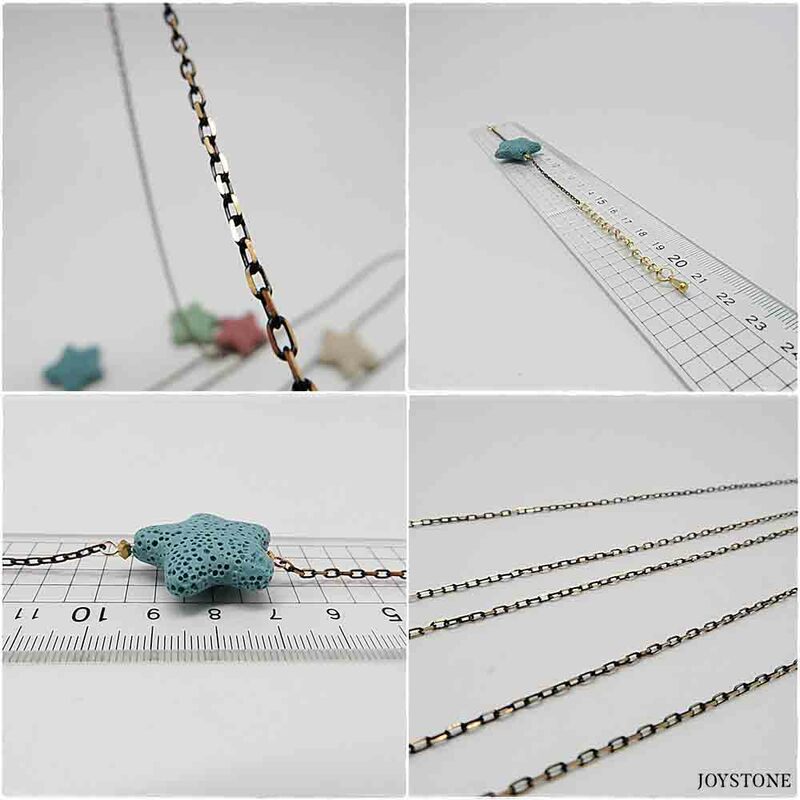 We use natural stones, copper and alloy, chain width approx. 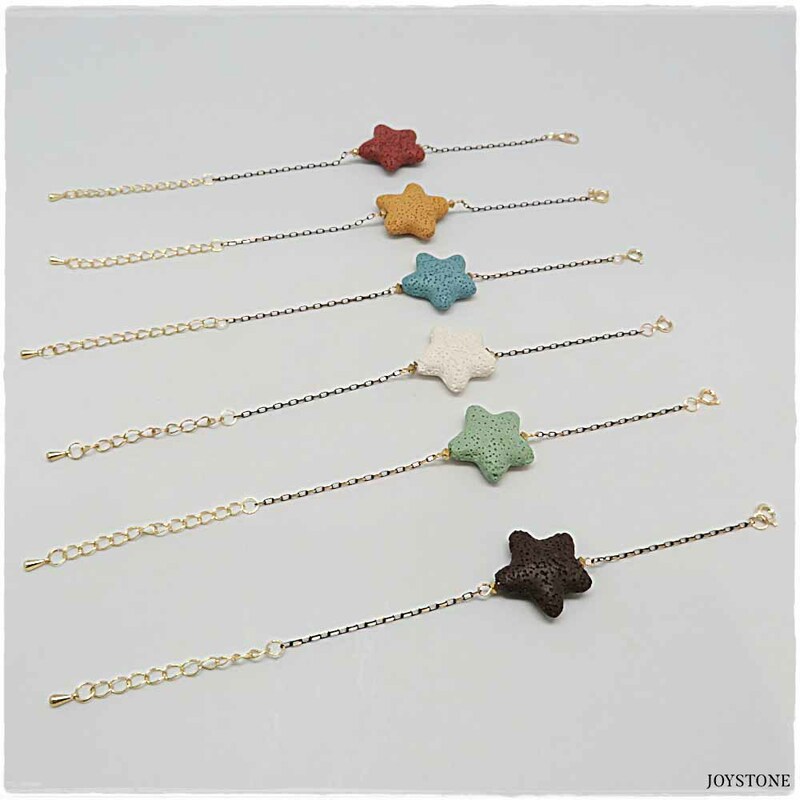 2-5mm, black gold , gold or silver plated chain or suede code, which bring a low-key stylish look, showcased in a glamorous and gorgeousness design of pendants with various color options of pendants, such as fish, tropical fish, star and heart-shaped. 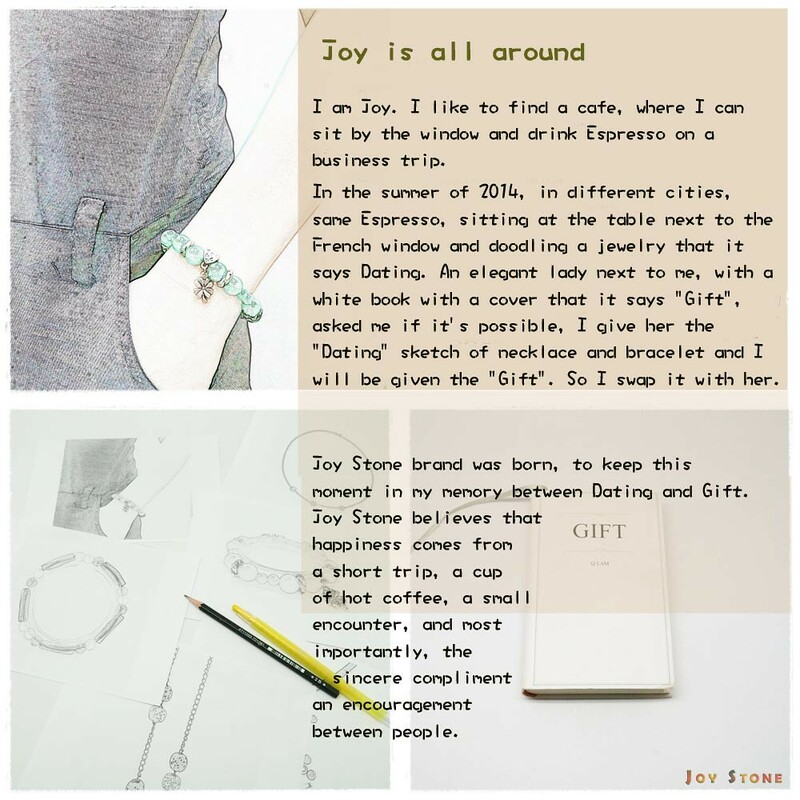 The fun and joy of childlike innocence pattern, that express a sense of simplicity and character of each. Simply add essential oils or perfumes for lava pendant, great for geek geology lovers.